Do you keep dusting, only to have the particles soon return? Do you vacuum, with only short-lived results? Does your house have a strange, funky odor that you can’t quite identify? Welcome to the world of indoor air pollutants. According to the Environmental Protection Agency (EPA) the air inside the average house is approximately two to five times more polluted than outdoor air and may be more polluted than the outdoor air of the largest industrialized cities. The same insulation, sealing, and caulking that help keep your home cool in the summer and warm in the winter also create an airtight seal that traps pollutants. • Chemical pollutants — Also known as volatile organic compounds (VOC), these include paints, varnishes, cleaning supplies, dry cleaning, aerosol sprays, and pesticides. Concentrations of some VOCs are up to 10 times higher indoors than outdoors. • Other — Tobacco smoke (tobacco smoke contains more than 3,800 different chemical compounds), asbestos, formaldehyde, and lead particles. Although dusting and vacuuming can be somewhat useful in reducing indoor air pollution, they’re not round-the-clock solutions. However, an indoor air purification system (also called an air sanitizer or air cleaner), is. An indoor air cleaner is a device that removes contaminated air from your living space. It works via filtration or ionizing. The most effective air sanitizing device is a HEPA (High-Efficiency Particulate Air) filter. A HEPA filter is a type of filter that can trap a large amount of very tiny particles. According to the United States Department of Energy (USDE), an air purifier must remove at least 99.97 percent of the 0.3 (0.000012-inch) micron particulates passing through it to qualify for a HEPA rating. There are two types of air purifiers. One type sits on the floor or tabletop, is portable and is designed to clean a single room. The other type is a whole-house version that’s installed into the ductwork of your central air conditioning system. A whole house purifier can run constantly, as long as the system’s fan is running. Enter the REME HALO® whole home in duct air purifier. It’s a whole-home air cleaner with a unique IPG purifying process that sanitizes impurities on surfaces, as well as in the air. It’s called an active purifier because it doesn’t just perform basic filtration and collect dust. Active filtration removes airborne contaminants, viruses, smoke, odor-causing bacteria, biological contaminants, and chemical pollutants. Progressive Air Systems, Inc, with experience spanning 34 years, believes that this purifier is an exceptional sanitizer. The REME HALO® utilizes RGF’s proprietary Reflective Electro Magnetic Energy technology. 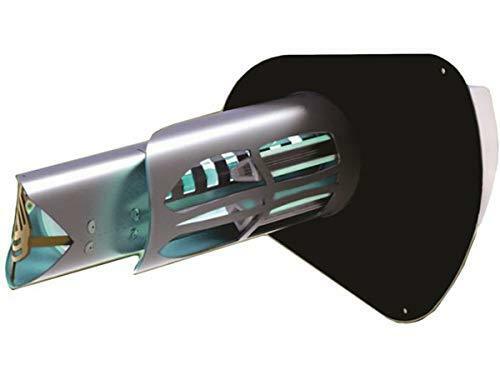 The REME HALO®’s in-duct air purifier produces Hydro-Peroxide plasma that is distributed through the air handler by the duct system. The charged plasma causes the particles to stick together and become larger, easier to grab. As the substances cluster, they can either be eliminated, pushed into the filter system or broken down. This results in extremely efficient air purifying. The REME HALO® has been certified for electrical safety by Electrical Testing Laboratories (ETL), the largest Nationally Recognized Testing Laboratory (NRTL) in the world. They are the only manufacturer of in-duct Pro-Active Air Purifiers that has received design validation from Underwriters Laboratories (UL). Home sweet home may not be as sweet as you think it is. On a daily basis, you’re inhaling an airborne cocktail of dander, dust mites, mold, chemicals, dirt, and other contaminants. This isn’t the type of pollution you can keep at bay by dusting, vacuuming or mopping. The REME HALO® purifier will provide you with powerful, effective, whole-house air sanitizing backed by cutting-edge technology. At Progressive Air Systems, we’re highly skilled in installing and servicing HVAC systems. One of our many expert technicians servicing Florida’s West Coast will be happy to efficiently and affordably install The REME HALO® system for you. Call us now for a breath of fresh air.